On November 12th, a workshop on heat planning and mapping was held in Alborg, Denmark within the 4th International Conference on Smart Energy Systems and 4th Generation District Heating (4SES4GDH). 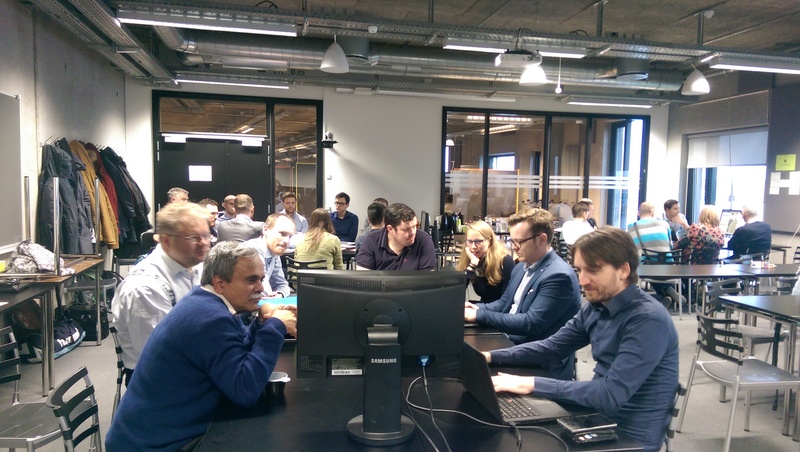 The heating and cooling planning tools from the project Hotmaps, Thermos, Planheat and Heat Roadmap Europe were presented and discussed together with around 40 workshop participants. Within the interactive session, we presented the Hotmaps toolbox live. TU Wien introduced the participants to the graphical user interface of the tool and presented its mapping functionalities. The default datasets of the toolbox, covering the whole EU28, was well appreciated by the participants. Some of them also said they were already using it for their research and found it very useful. We demonstrated how, by zooming into a specific region, municipalities can easily retrieve base indicators for their selected region. It was shown how the maps can be used to estimate the heat demand and gross floor areas of municipalities, as well as how potential heat sources can be identified. The participants actively provided feedbacks. The impression was that the functionalities and implemented datasets of the Hotmaps’ tool will be very valuable for heat planning. The tool will be made public as a beta version early 2019. You can access the joint session presentation here. The following day, during the 4SES4GDH conference, we had the chance to illustrate the methodology used to estimate heat distribution costs, with a calculation module that will be integrated in the Hotmaps toolbox. The case of district heating in Brasov (Romania) was presented.